Close up of Spring Beauty, a common wildflower native to North America. 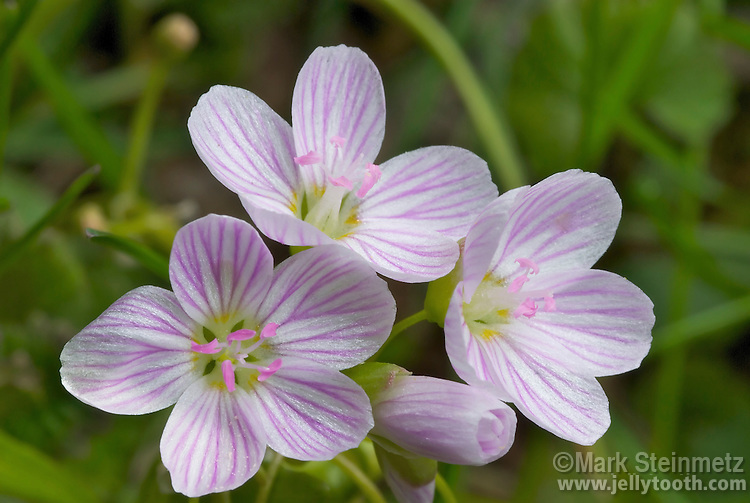 This subspecies, the Virginia Spring Beauty (Claytonia virginica var. virginica), is the most familiar and wide-ranging. Edible tuber and flowers.